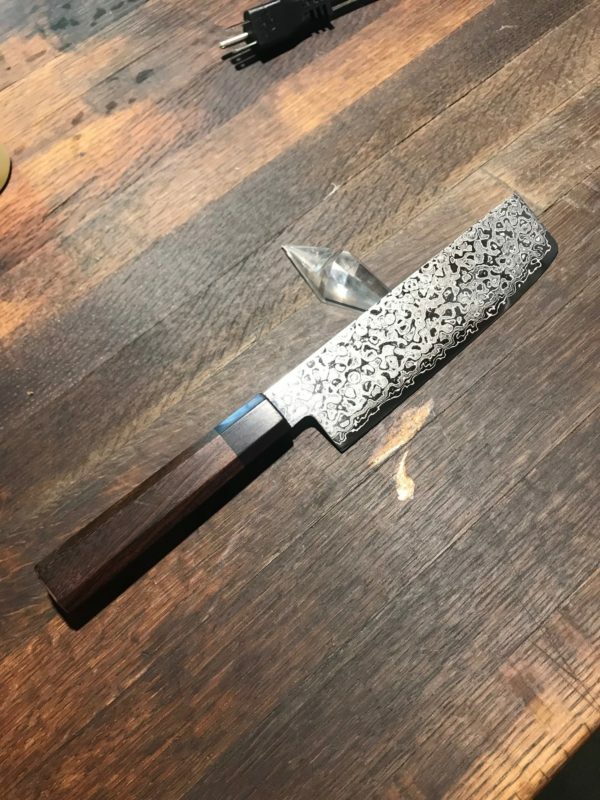 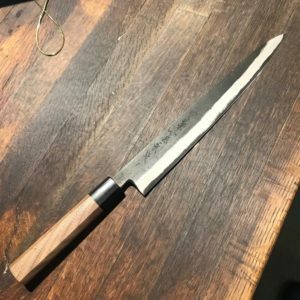 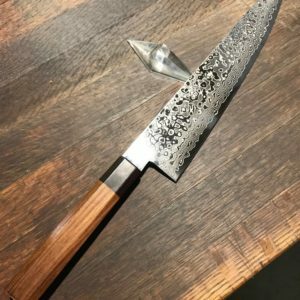 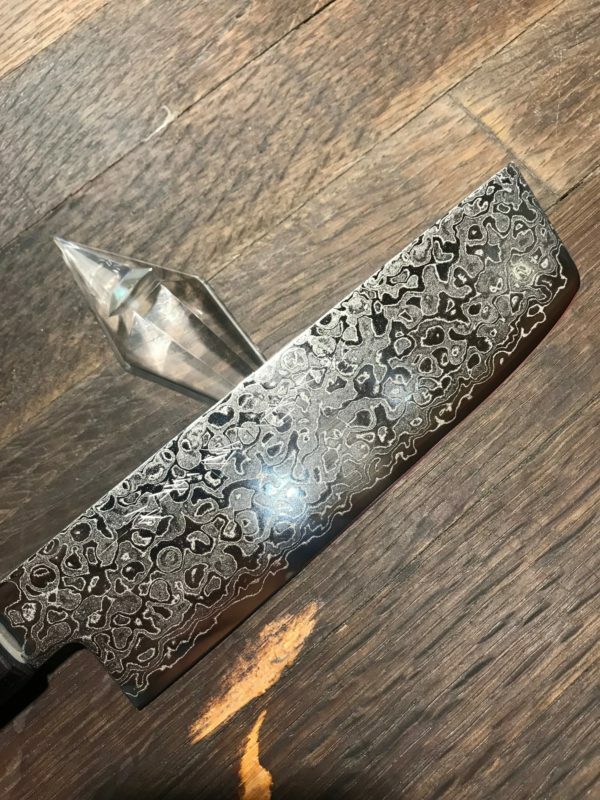 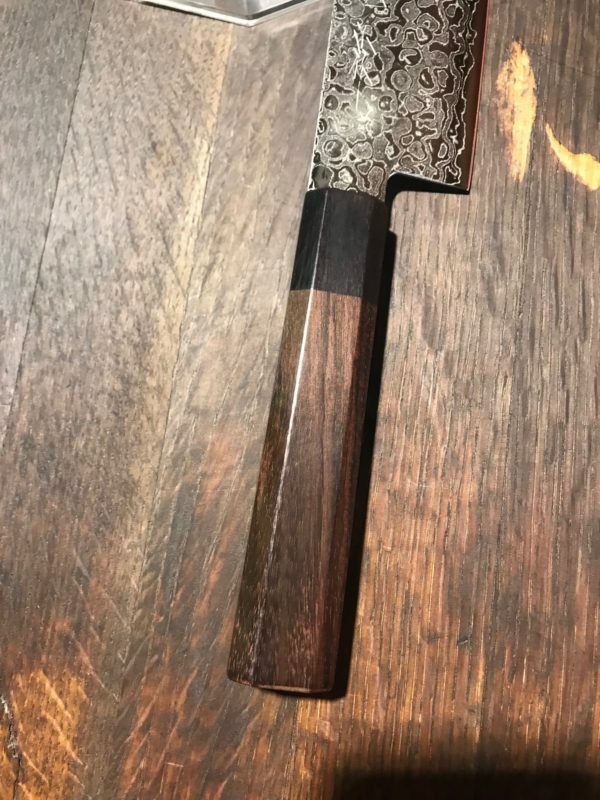 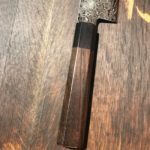 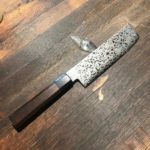 One of our most popular knives, the Nickel Damascus is a beautiful and functional knife that will be the showpiece of any kitchen. 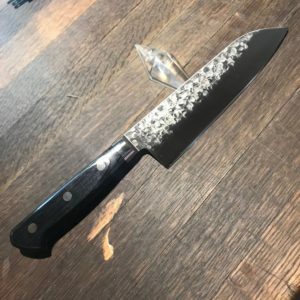 With a thin blade and a light agile feel, meal prep is a dream. 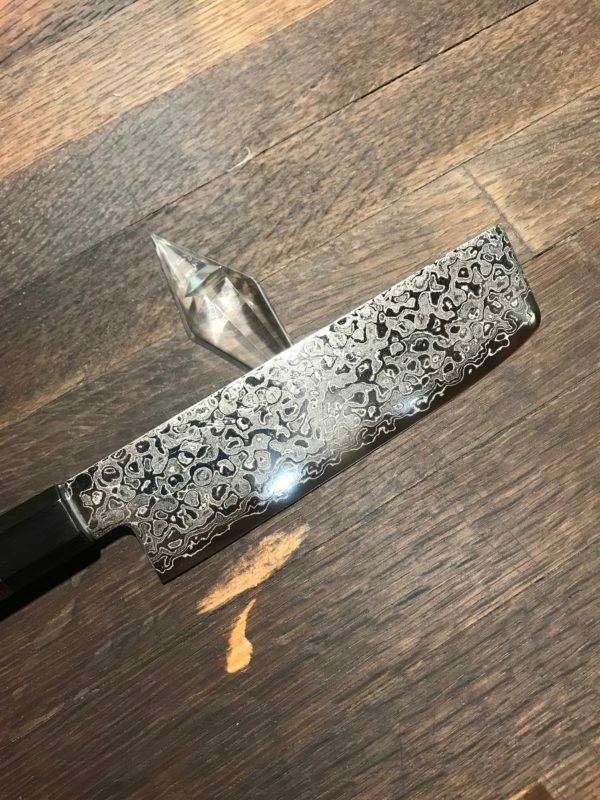 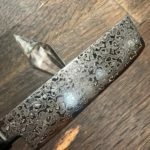 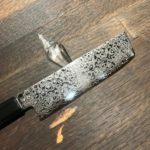 Blade – 45 layers with a core of Aichi AUS10 Nickel stainless sandwiched between 11 layers of nickel, 6 layers of SUS410 and 5 layers of J1 stainless steel on each side to create the Damascus pattern. 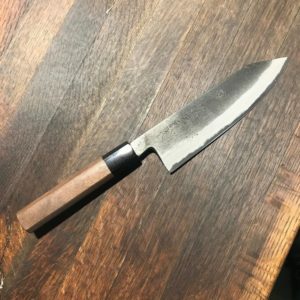 These have a thin blade and a light agile feel.